Since forming in October last year, Heel Turn have been on the grind to make “manic, non-stop, energy-fuelled noise.” Debut single Correspondence Blues delivers their promise, appearing on first EP A Giant Blue Dragonfly, launched with a gig at Westgarth Social Club in Middlesbrough on Friday 5th October. “The single and full EP are very much based around our experience of living and being around Teesside. 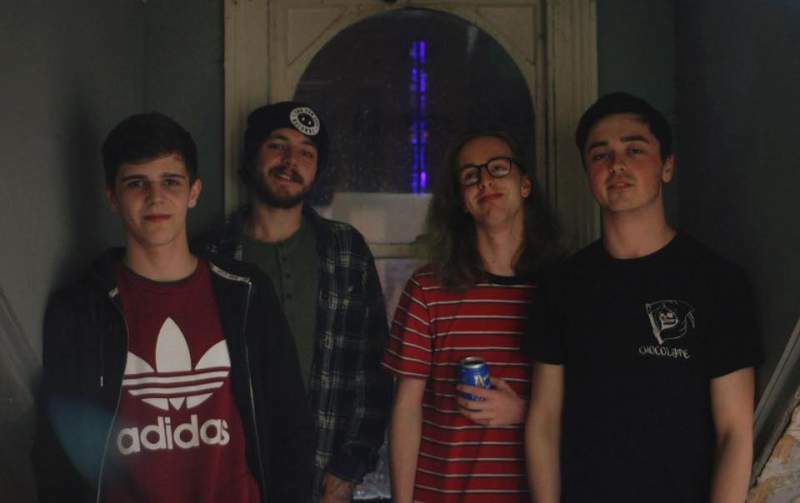 Whether anger, drug or politically charged, we love Teesside…but a lot of untapped influence we’ve found here is not always positive.” EP closer Stay Hydrated is everything you want in an angry punk song: emphatic vocals, charged rhythmic guitar, borderline rapped verses and a snippet from BBC Tees Radio, apparently.